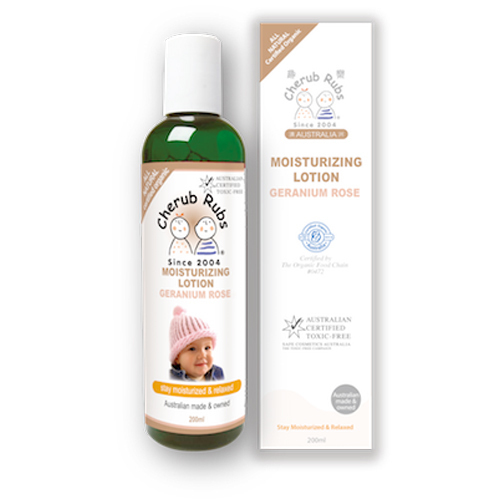 This daily non-aromatic body moisturizing lotion offers a delicate infusion of organic aloe vera juice, Geranium Rose juice and specially chosen certified organic essential oils and butters. Essential oils from coconut, macadamia, apricot together with shea and cocoa butters, provide vitamins and emollients to help keep the skin moisturized. Suitable for all skin types, even delicate skim, face and the whole body. Use with newborns to adults and pregnant women. Apply to face, hands, body liberally as needed. Due to the high concentration of organic ingredients there may be some variation in batches. 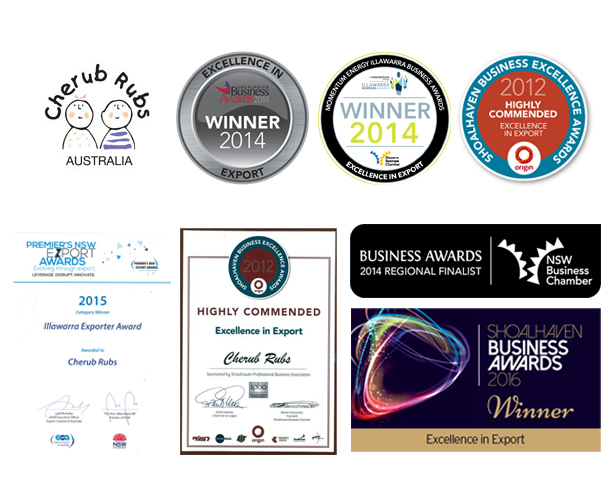 Cherub Rubs is one of the few fully certified organic skin care ranges in the world, using not just natural ingredients, but ingredients that are certified organic. It provides concerned parents with one of the most natural skin care ranges in the world as an alternative to steroid-based treatments for dry skin conditions. The products are approved in Australia for use with all children under 3 years old and are recommended by health professionals in Hong Kong, Singapore, South Korea and Taiwan.